The Phillips 66 refinery in San Luis Obispo County. The statewide protest movement against plans to ship tar sands oil by rail (see “Crude-by-Rail Projects Face Key Votes”) scored a key victory this week when the San Luis Obispo County planning department recommended a “no” vote on a proposal by the Phillips 66 refinery there. 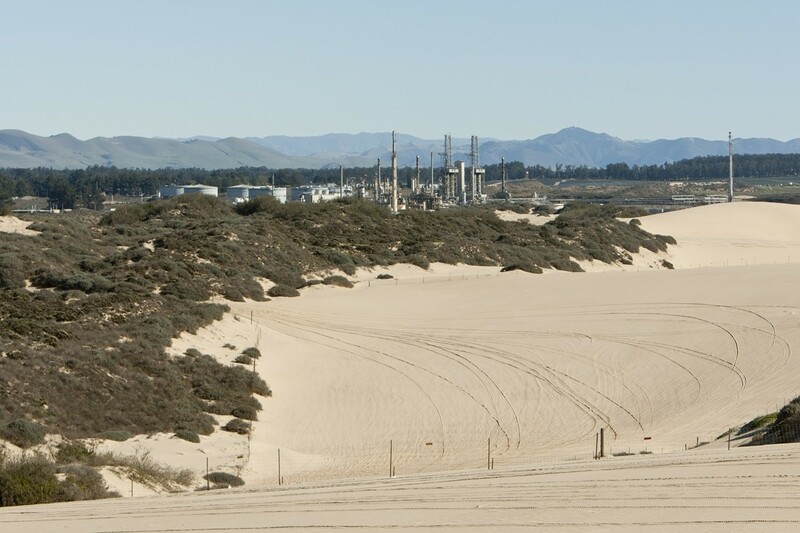 Phillips 66 wants to build a rail spur to connect its refinery to the major north/south rail line along the California coast so it can import tar sands crude oil from Canada to its San Luis Obispo refinery. The project is actually worse than the environmental review found, said CBE scientist Greg Karras, because it considers only the harm from shipping the crude oil by rail. In addition, he said, refining this type of oil produces more greenhouse gases and more locally harmful pollution than refining other kinds of crude. In addition to the findings in the county’s environmental review, the San Luis Obispo Planning Department report acknowledged the “significant local, regional, and statewide concern expressed through the various stages of the project. “The general consensus among the comments received is that project benefits do not outweigh the potential hazards it will bring to the public,” the report continued. “These hazards mainly stem from rail accidents, oil spills, health hazards, and explosions/fires within communities along rail lines as a result of an increase of crude transport via rail." These risks would affect communities all along the rail lines, from the Bay Area south to Los Angeles. Valerie Love, an Oakland-based organizer for the Center for Biological Diversity, one of the leaders of the statewide campaign against the project, said in a statement: “This recommendation is unprecedented in how clearly it spells out the health, safety, and environmental risks of this project. Now it's up to the planning commission and the board of supervisors to heed the recommendation and reject this dangerous project once and for all." Environmental activists said it’s now especially important to continue their plans for a massive showing of opposition to the project at the planning commission meeting February 4. Buses and van pools from around the state will bring hundreds of protestors to the meeting to demand that the planning commission follow the staff’s recommendation and reject the project.